Swimia.com has the most up-to-date database on the internet about just about any French Guiana Swimming Pool. Classified by countries, regions and cities, it really is straightforward to locate the nearest pool at the locations you visit. 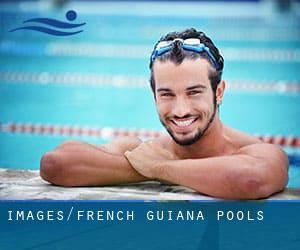 For French Guiana, you can have a look at the pools we've gathered for you. Going to a French Guiana Swimming Pool is increasing particularly within the elderly population sectors of French Guiana, who've suffered some style of muscle or bone damage. The ideal French Guiana Pools are situated primarily in major cities, but it is also easy to find public pools in rural areas. Please contact the sports center in French Guiana to check which activities are being supplied and their timetables, because French Guiana Pools could have unique rules and fares than other places. We in all probability don't know all of the Pools in French Guiana. Are you missing any? Contact us!. Swimia.com desires your feedback on Aquagym in French Guiana to ensure all the details about swimming in French Guiana is valid. One from the advantages of outdoor swimming in French Guiana is the possibility to sunbathe throughout the summer season. Taking it with additional care, sunbathing is wholesome due to the fact introduces Vitamin D into the body, so the ideal selection seems to be switching among indoor and outdoor pools based on the season. Whereas Macouria is among the six most populous cities in French Guiana with nearly 8.773 residents, you shouldn't miss that one if you're going to French Guiana. Let us tell you a secret to switch off while you happen to be in Cayenne: just select a Pool in Cayenne and plunge into the water! There's no additional effective system. Swimming is a exceptional concept to help keep your body active during your visit to Saint-Laurent-du-Maroni (French Guiana), or even for anyone who is a local. Swimia helps you to find your closest Swimming Pool in Saint-Laurent-du-Maroni. Without a shadow of a doubt, swimming in Rémire-Montjoly is the ideal method to unwind following work. Take a couple of minutes to browse Swimia's catalog to find a Swimming Pool in Rémire-Montjoly. Holding an estimated population of 24.029, Kourou is one of the most important cities in French Guiana. Check all the Swimming Pool in Kourou and its surrounding region. It's hard to visit French Guiana without dropping by Matoury (with 26.350 residents). At present Swimia is showing you all of the Swimming Pool in Matoury as well as the closest pools situated in its vicinity. Updated on 2019 Rue Baudel , Cayenne (GUYANE) (Postal Code: 97300). Among all the activities supplied by the center, if you're considering swimming you might enjoy Olympic size x 15 meters, 6 lanes, Outdoors. If you'll want to get in touch with this Swimming Pool, email address and phone number are both number. Updated on 2019 Chemin Morthium , Matoury (GUYANE) (Postal Code: 97351). Among all of the activities provided by the center, for anyone who is keen on swimming you will delight in 25 meters x 15, 6 lanes, Outdoors. If it is advisable to contact this Pool, e-mail address and phone number are both number.